Brian Shivambu, the brother of EFF deputy president Floyd Shivambu, received R16m from the now collapsed VBS Mutual Bank. This is revealed in a bombshell investigation report compiled by advocate Terry Motau, and released by the SA Reserve Bank on Wednesday, which references Brian Shivambu in a list of 27 individuals and companies who received the largest amounts of money from the bank in a "looting scheme" totaling R1.8bn. Motau's report is not clear on what the cash payments to Shivambu were for. Elias Shivambu - who is a director in a company called Sunshine Hub alongside Brian Shivambu - confirmed to News24 that he is Brian's and Floyd's father. "Yes (I am their father), but I don't know anything about the R16m." Informed sources with knowledge about the investigation into VBS also confirmed that Brian is Floyd's brother. Floyd Shivambu, EFF national spokesperson Mbuyiseni Ndlozi and EFF commander-in-chief Julius Malema did not immediately respond to calls or texts seeking their comment. A Twitter profile for Brian was found on Wednesday morning, but deleted within hours of the release of the report. The account had been active since November 2010. According to the biograpy on the Twitter profile, Brian Shivambu is employed at the EFF headquarters and is the managing director of Mabyeni Trading and Projects. Company records for Mabyeni show that Brian Answer Shivambu has been the sole director since 2011. Further searches revealed that Brian provided his employer details as "provincial legislature" as late as August this year and, previously, the Economic Freedom Fighters. Cellphone numbers linked to Brian went straight to voicemail when called. News24 has established that Brian was co-director in a company called Sunshine Hub with three other individuals who share the Shivambu surname - Hlegani Elias, Mujaji Constance and Fumani Innocent Shivambu. According to CIPC records, Sunshine Hub's address is in Malamulele in Limpopo. Floyd Shivambu is from Malamulele and his parents are named as Elias and Constance. The EFF has been adamant in public statements, on Twitter or via the media, that VBS should - as a black bank - be protected. "I think we should picket at #SARB in defense of our bank attacked and we fold our arms. We must defend #VBSBank, the only bank that gives mortgage to black rural people with PTO's," Malema tweeted in March. 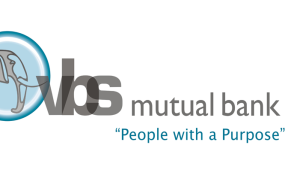 Motau's report found that there was no prospect of saving VBS bank, as it was "rotten to the core". He recommends that more than 50 individuals, including Brian Shivambu, be criminally charged and held liable in civil proceedings, following the bank's implosion earlier this year. This includes the bank's former executives and their associates, shareholder executives, politicians and their relatives and auditors who signed off on the bank's "fraudulent" financials.